All depends on what you are fishing for tbh,flounders like a bit of colour as do plaice(when the water is clear)with these 2 species theres nothing wrong with plenty of beads or sequins on your hook lengths. When sole fishing fishing i tend to use 2 red beads near the hook length(mostly to keep the bait on the bottom)but red beads seem to work for me as i have had sole on them. Fishing for whiting at night i use luminous beads(the ones u can charge with your headlamp)i normally put 2 on each trace and have caught plenty of whiting with that method. I usually use four or more. Try luminous beads, sequins and different colours. 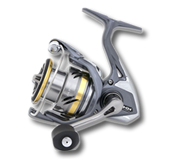 Experiment when you are out fishing to find the ideal setup for the mark you are fishing.